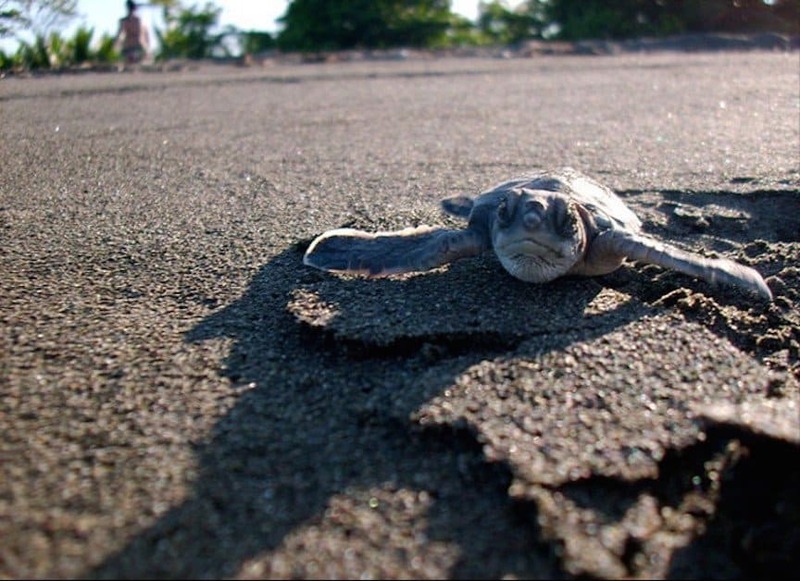 Turtles are known as those little shelled animals that move at an unhurried pace, but just because these reptiles like to take it slow doesn’t mean they don’t have character and vibrancy. 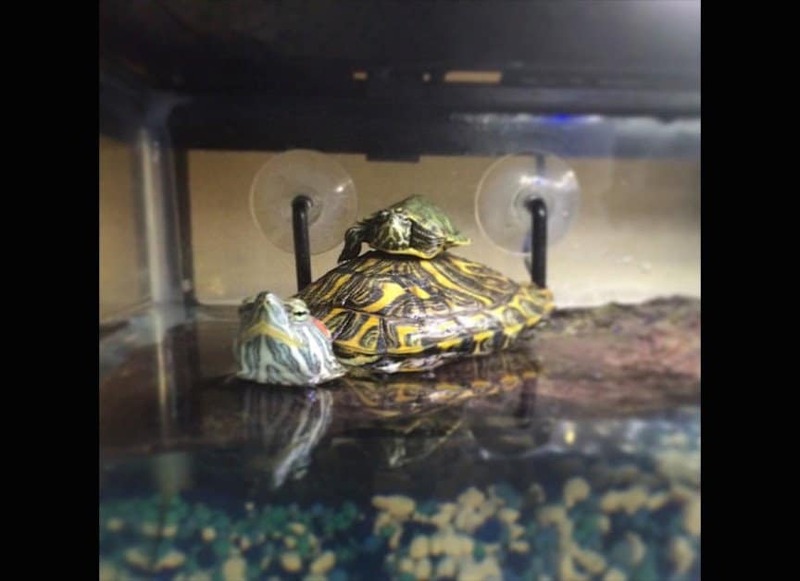 From the silly YouTube videos with millions of views to the adorable memes that can make anyone laugh ’til they burst, turtles command a lot of attention from the world and rightfully so. 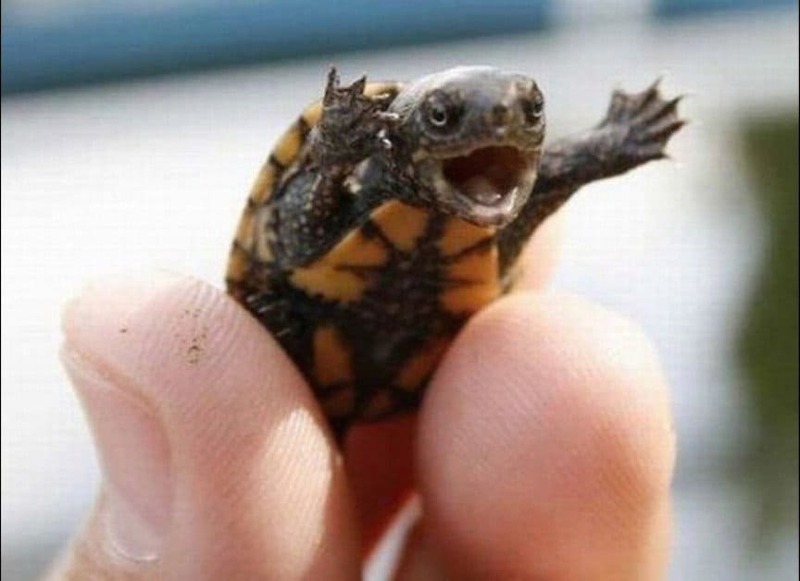 Lots of animals can be cute and hilarious at the same time, but none of them can touch how darling and funny turtles are. 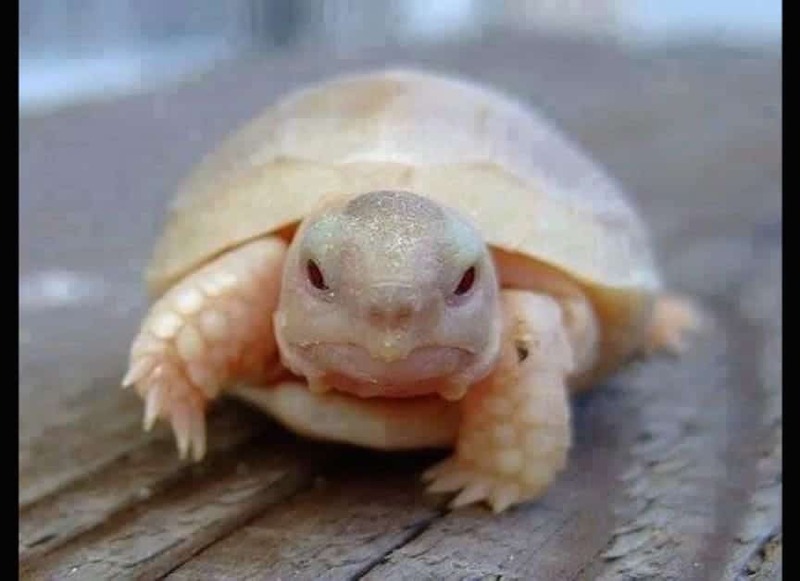 So many think it’s a real bummer to be different like this little albino guy. If he only knew how precious he was, maybe he wouldn’t frown so much. Some turtles have to learn ninjutsu with nunchucks and wear and orange mask to look cool. 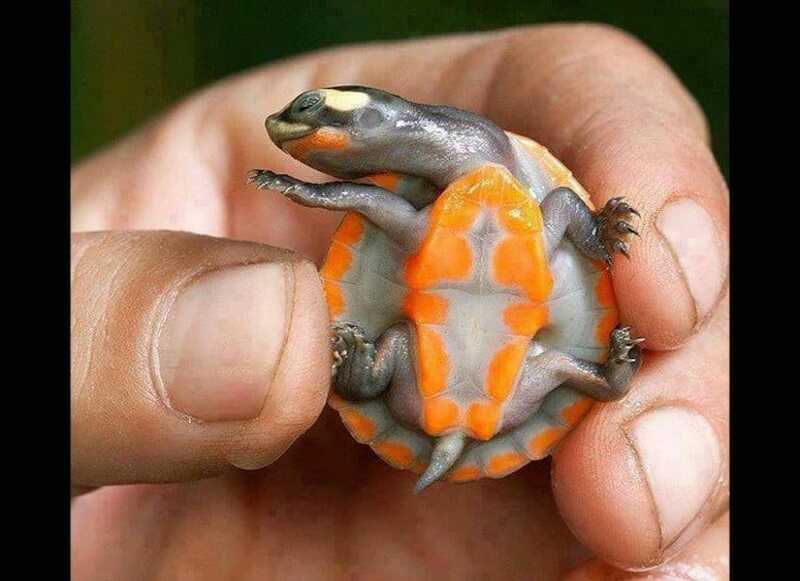 But apparently, some turtles are just born looking awesome and amazingly colorful. 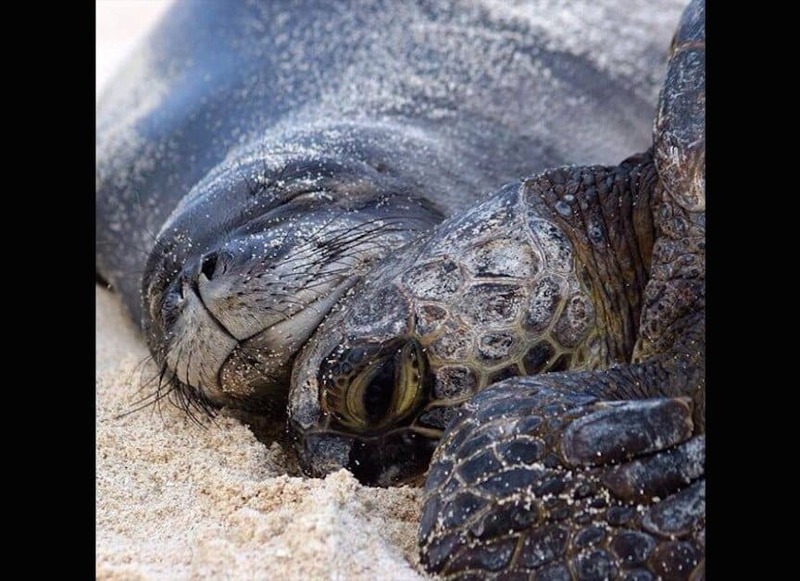 With their tough shells and their scaly skin, turtles don’t seem like the most cuddly animals at first. It seems though that at least one happy seal has a different opinion about that. 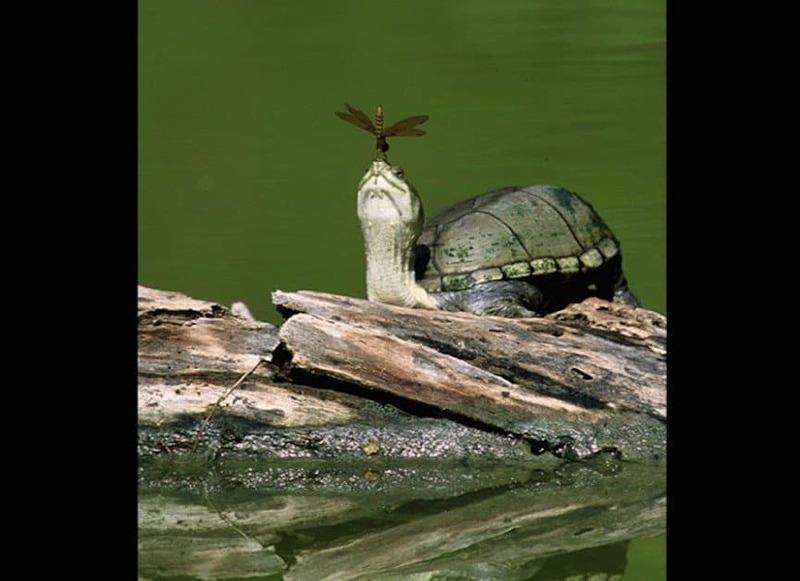 Unlike with frogs, kissing a turtle won’t turn him into a handsome prince. It doesn’t matter though – some of them are just so darn cute you’ll want to kiss them no matter what. Good afternoon – We’re gonna have a great jump today! Okay, first crank a hard cutback as you hit the wall. There’s a screaming bottom curve, so watch out! Remember: rip it, roll it, and punch it! It truly is a big and bold move to have a stare down with a turtle, especially considering how aggressive and vicious they are. I guess that must be one really brave dragonfly. Young Man! There’s No Need To Feel Down! There was the Construction Worker, the Cowboy, the Biker, the Cop, the Indian, and the Navy Man, but there was no Turtle Man in the Village People. 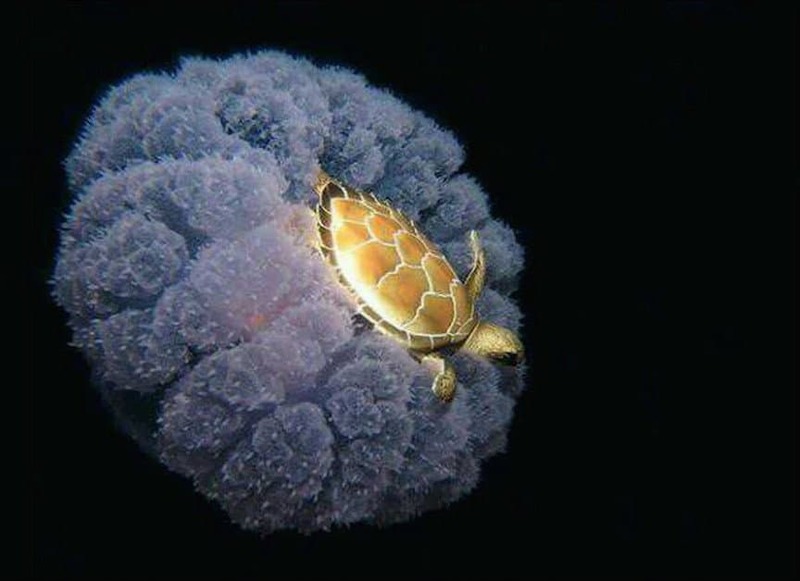 There should have been though – look at this little guy go! Y-M-C-A! 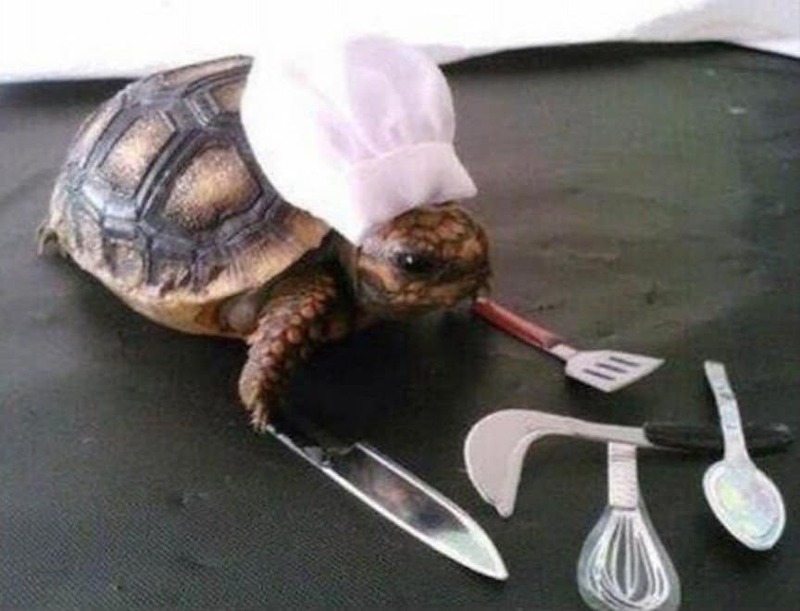 Maybe you’ve had turtle soup…but have you ever had a turtle make you some soup? They may not seem like it, but some of them are actually quite adept little chefs. 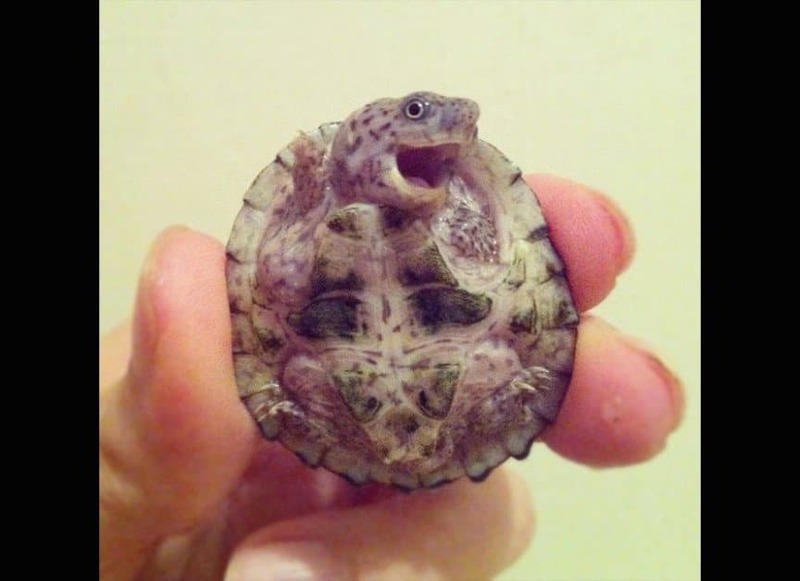 What is the only thing in the world better than having a happy little swimming and laughing turtle? 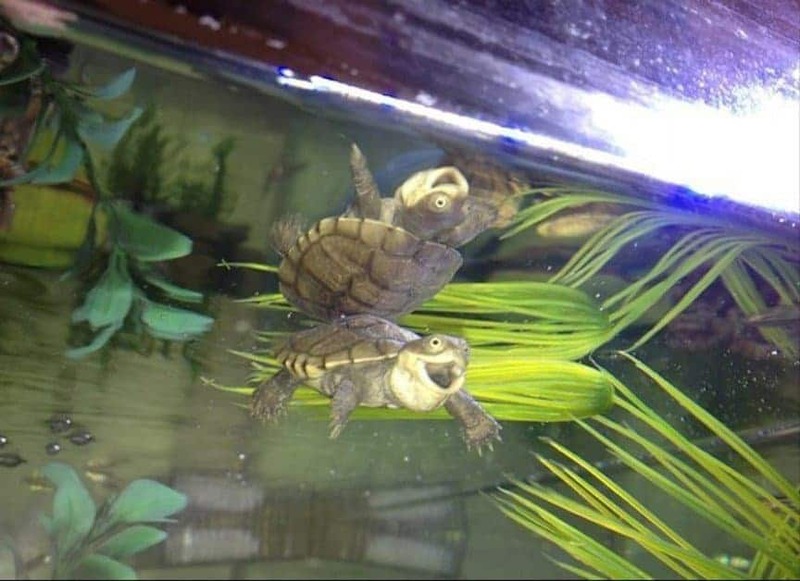 Having two happy little swimming and laughing turtles! One of the reasons people love having dogs so much is that they are so happy to see their owners when they come home after a long day. From that reasoning, people should own a lot more turtles, especially since you don’t have to take them for walks. Women everywhere use all sorts of methods to get the best looking hair, from extensions and wigs to Rogaine and hair dye. 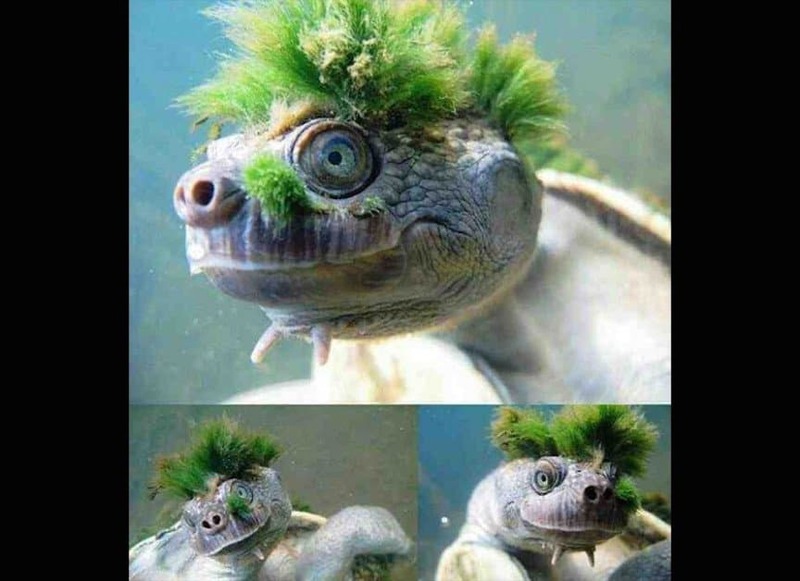 It must be great to be a turtle – just let it grow and don’t ever touch it again. Algae is the best. 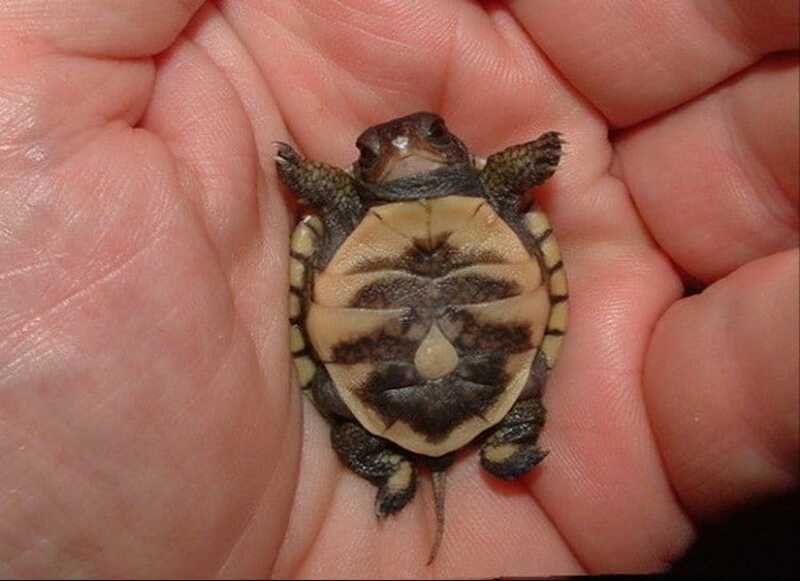 Walking on asphalt is tough enough when you are a grown human being, but what about when you’re a newly hatched turtle the size of a quarter? The next time you feel like life is too hard, just remember how hard this tiny dude has it and how cute he still makes it look. Jellyfish can’t sting you if you only touch them on the tops!… I shall call him Squishy and he shall be mine and he shall be my Squishy. Come on, Squishy. Come on, little Squishy. Who said human babies were the cutest babies? 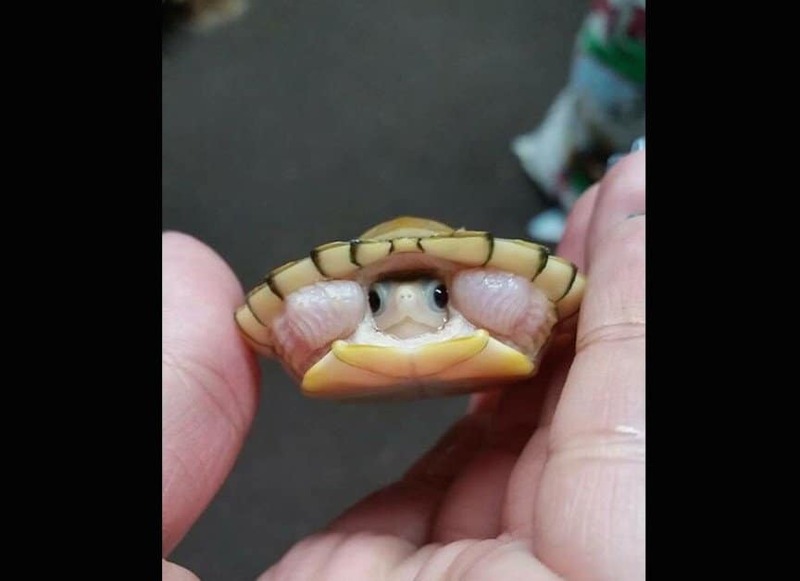 Who could resist that tiny little shell belly, those cute little reptile claws, and those big dark and round little peepers? 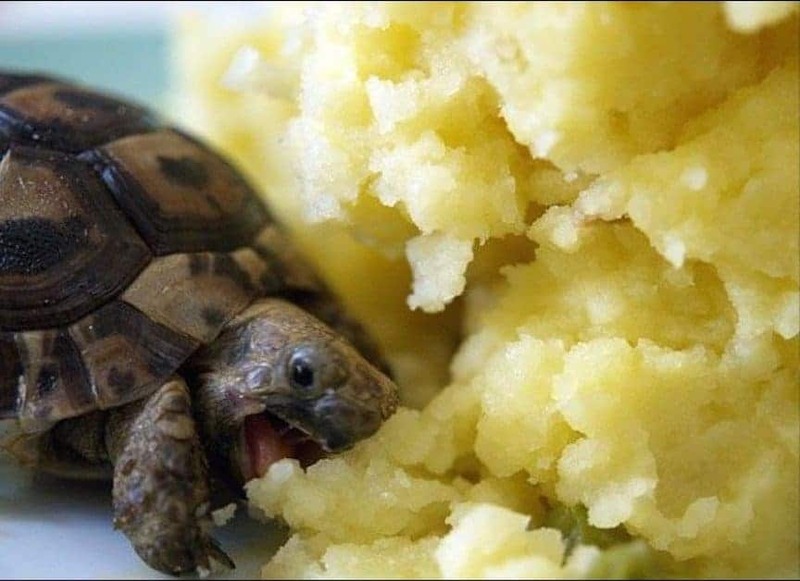 It looks like our shelled friends love mashed potatoes just as much as the next human. 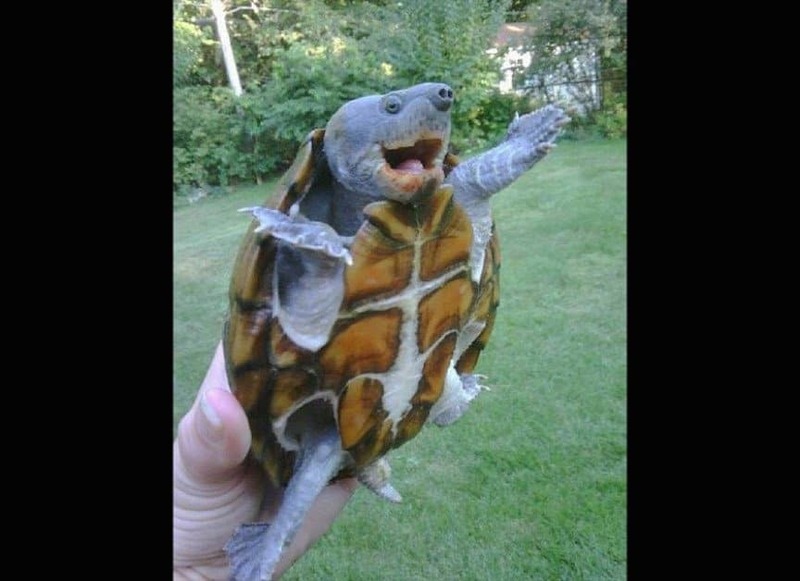 To all those who have pet turtles, remember this when Thanksgiving comes around again. Unfortunately not everyone is big enough to do everything on their own. The good news is that so many of these tiny souls have big friends to help them out in times of need… like getting from one side of the aquarium to the other. So you think that Tony Hawk is the best in the whole wide world? 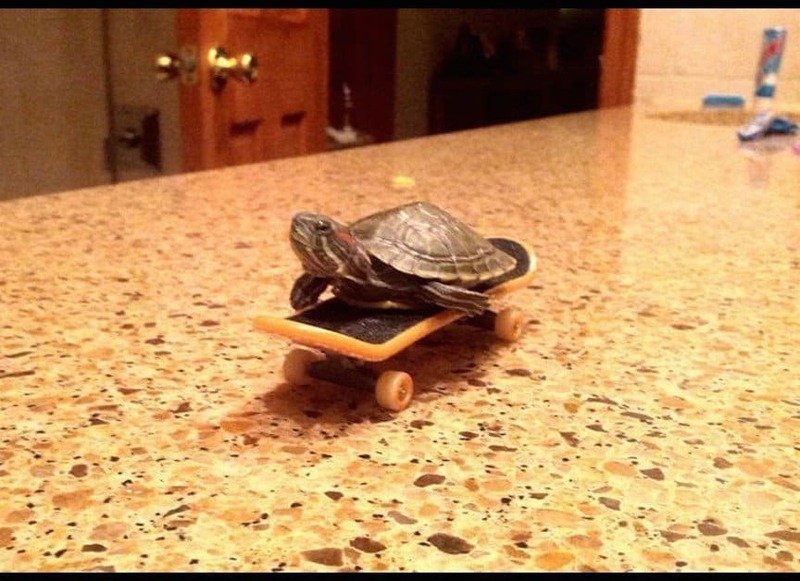 Then I guess you have never seen a baby turtle skateboard before. 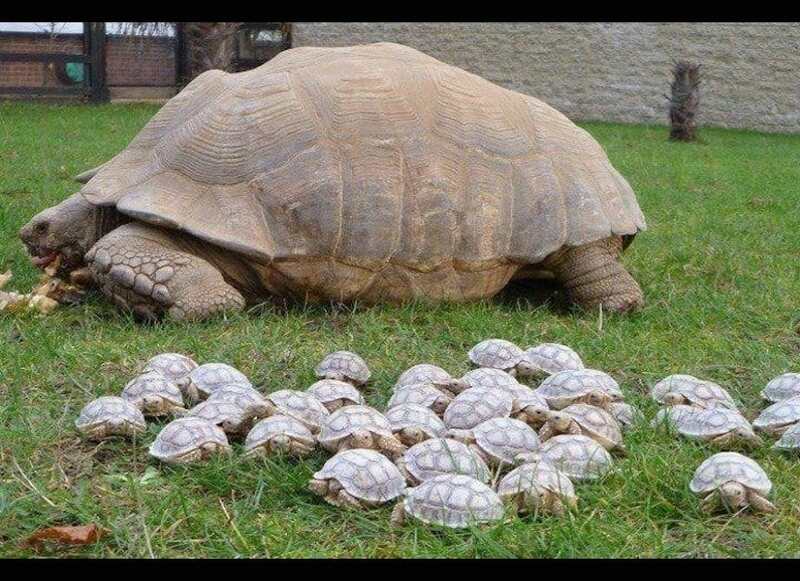 If you’ve never had any respect for turtles, you should at least have respect for their mothers. Could you have dozens and dozens of babies. look after all of them, and not go totally crazy? Not everyone is as photogenic as the next person. 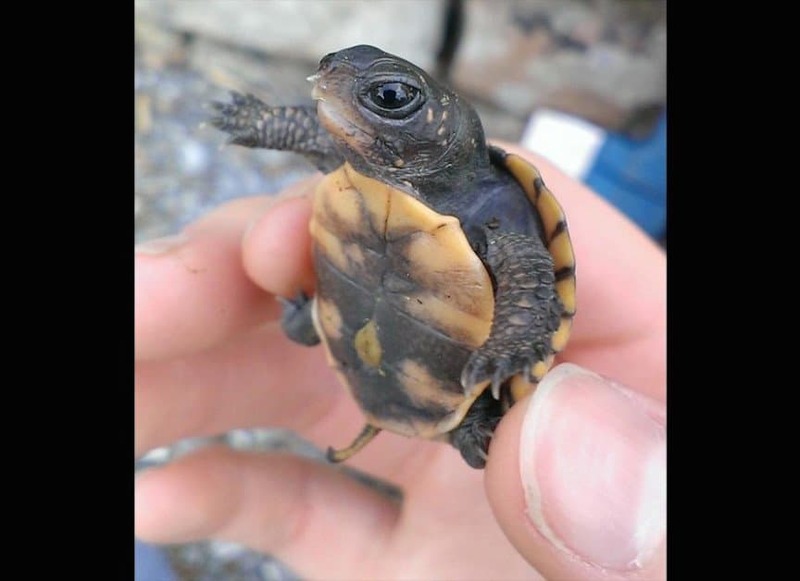 But just because some little guys don’t like having their picture taken doesn’t mean they shouldn’t – some turtles are just too cute to pass by. It doesn’t matter how much money Titanic made, Leonardo DiCaprio isn’t king of the world. 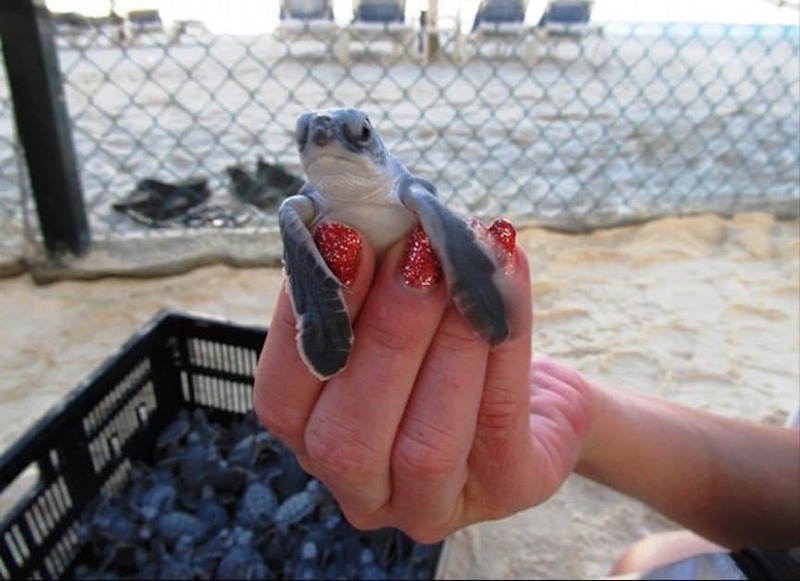 The world is ruled by awesomely precious baby turtles.